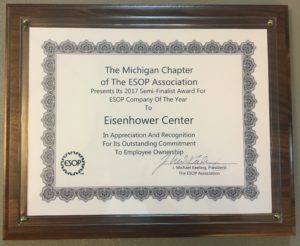 Semi-Finalist Award for ESOP Company of Year! Being an employee owned company means that each and every employee is accountable for everything about the center. It means we’re all equally responsible for the flowers being planted as this update is written, and that we’re all responsible for touching the lives of each and every client we see each day. 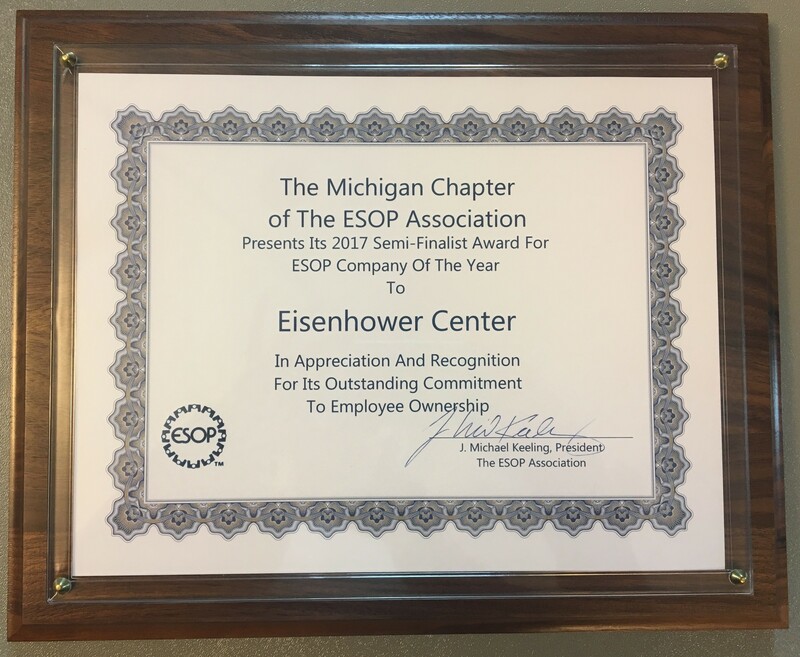 Today, we’re proud to announce that Eisenhower Center has been recognized by the Michigan Chapter of the ESOP association as a 2017 semi-finalist for the Company of the Year award. This award demonstrates our commitment to employee ownership. 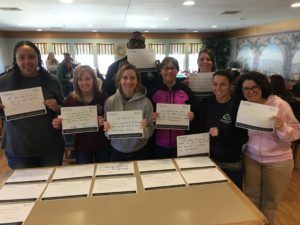 In order to recognize and spread awareness about the silent epidemic that is brain injury, Eisenhower Center staff put on a short presentation and got staff engaged by asking them to share their experiences in a sentence or two. The response was overwhelming! Click the attached photos to read responses from some of our wonderful and dedicated team members. 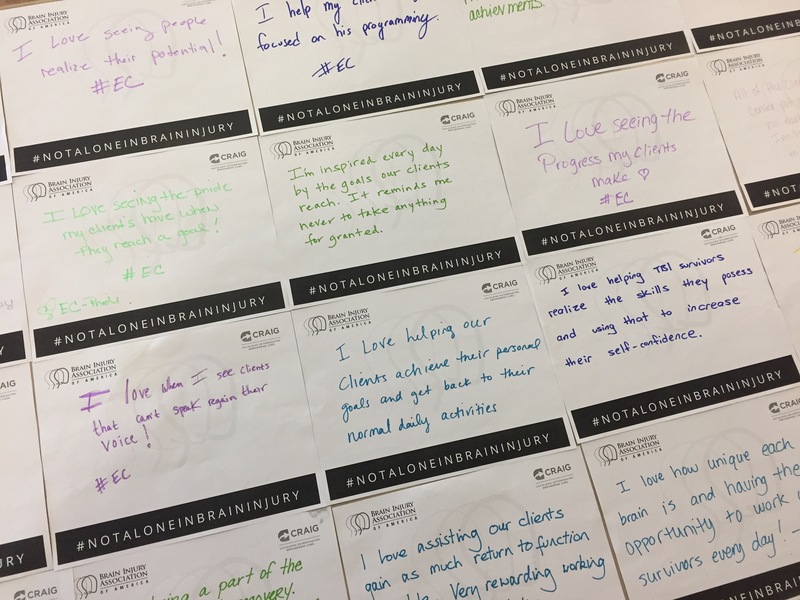 Then, take a moment to read a few quick facts about brain injury posted below, and share them with friends and family who may not know. 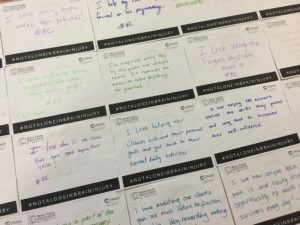 Visit www.biausa.org for more information about brain injury. Did you know males are 1.5 times more likely to sustain a brain injury? Did you know over 1,400,000 people sustain a brain injury each year? Did you know falls are the leading cause of brain injury? Did you know adolescents under 19 years old are at the highest risk for a brain injury? 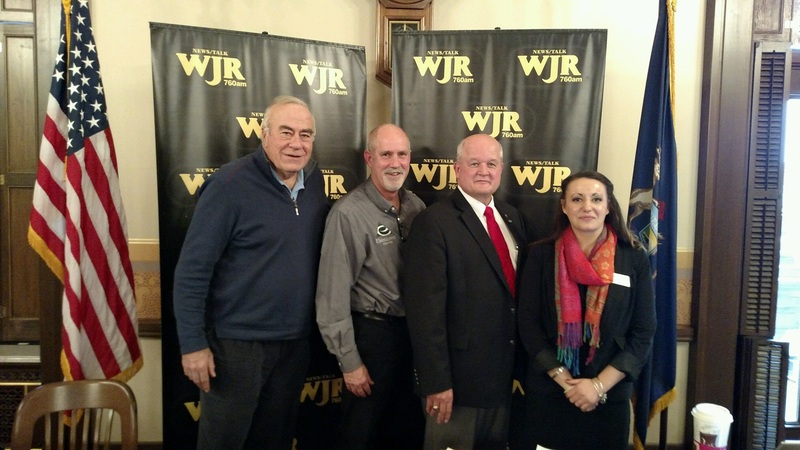 Recently, John Cornack, the president of Eisenhower Center, Brigadier General Richard Miller, and Laura Chirio (Program Coordinator and veteran) all sat down with Frank Beckmann of WJR radio to talk about our recent efforts to support veterans and their families. Developments in projects at Selfridge Air National Guard base in Harrison Township, MI were discussed, as well as Eisenhower Center’s unique After the Impact program, and the pro-am golf tournament to support female veterans coming up on May 22nd. To hear the segment for yourself and to learn more about our unique initiatives, click here. To read more about the International Brotherhood of Electrical Workers, click here. 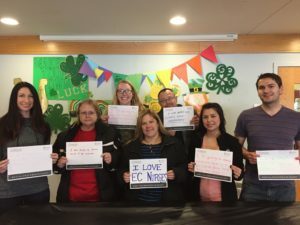 Eisenhower Center succeeds because of the people who work here. As a whole, we pride ourselves on our ability to work as a team. Currently, Eisenhower Center is hiring for several opportunities at our new Jacksonville, FL center. To inquire about these positions, please send your letter of interest and resume to Heath Boston at hboston@eisenhowercenter.com. Interested in learning about opportunities at our other facilities? Want to be an integral part of a caring team of skilled professionals, and to touch a life? Please visit our careers page for more information on available positions.